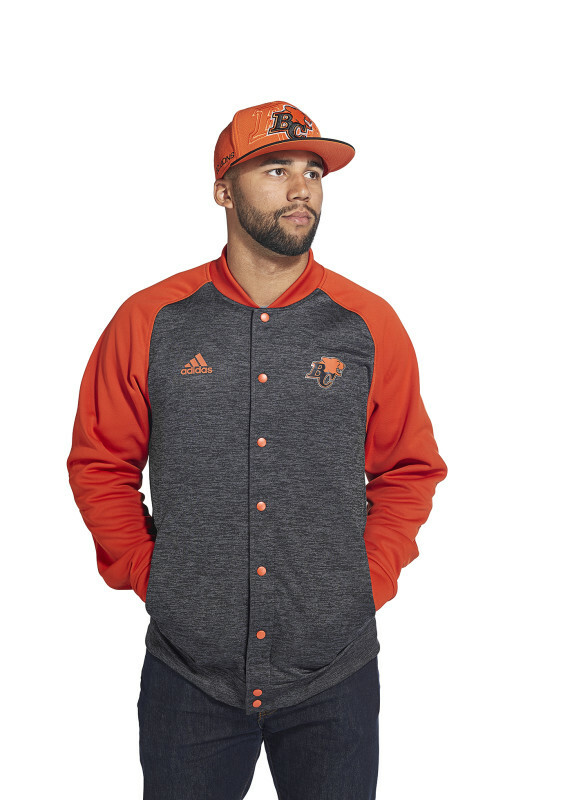 New Season, New Look: The adidas CFL Collection has landed! 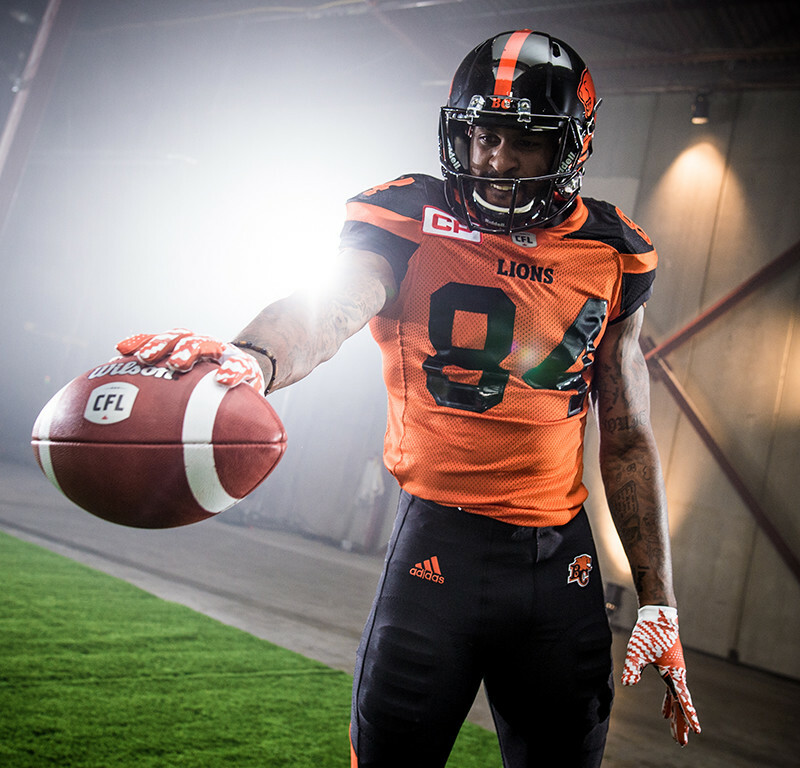 TORONTO — The CFL, its nine teams and adidas unveiled the much anticipated new 2016 collection for the upcoming season, continuing the leagues new brand positioning. The entire new collection, consisting of jerseys, sideline apparel and a fan-friendly adidas Originals clothing line was unveiled online across multiple platforms and team websites. 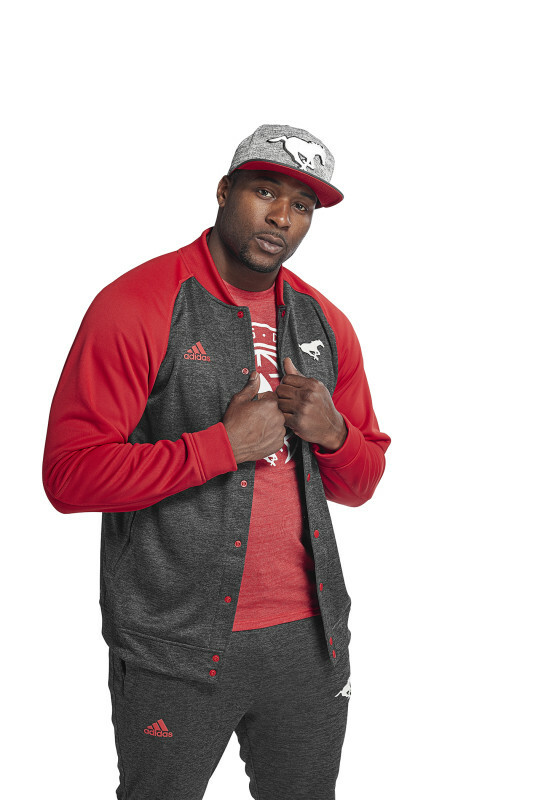 Be the first to get your hands on the new gear by visiting CFLShop.ca. Want a look at the new designs? 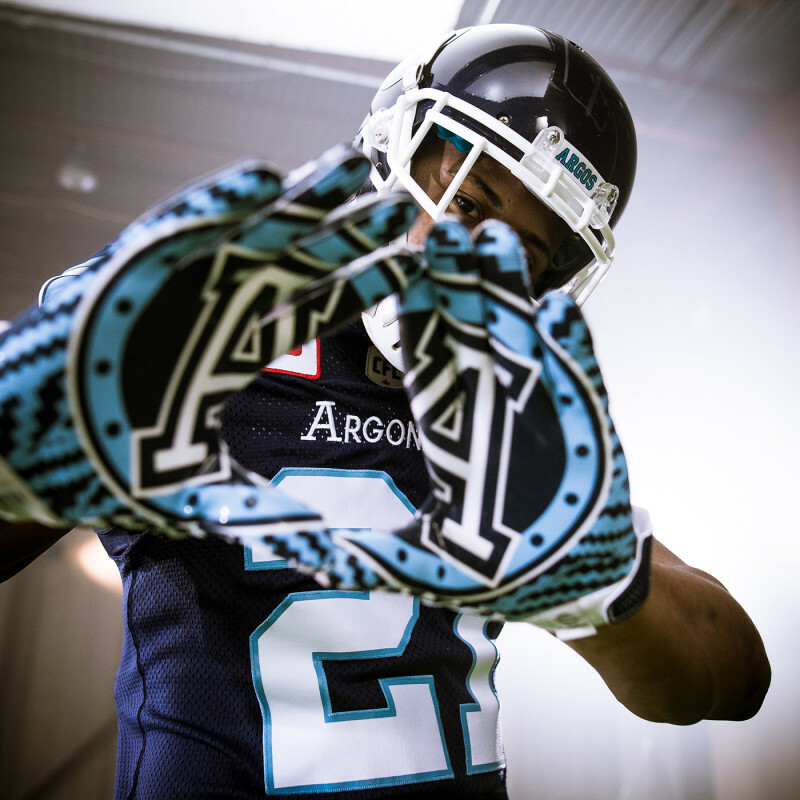 We go West to East below to take you through the new look for 2016. 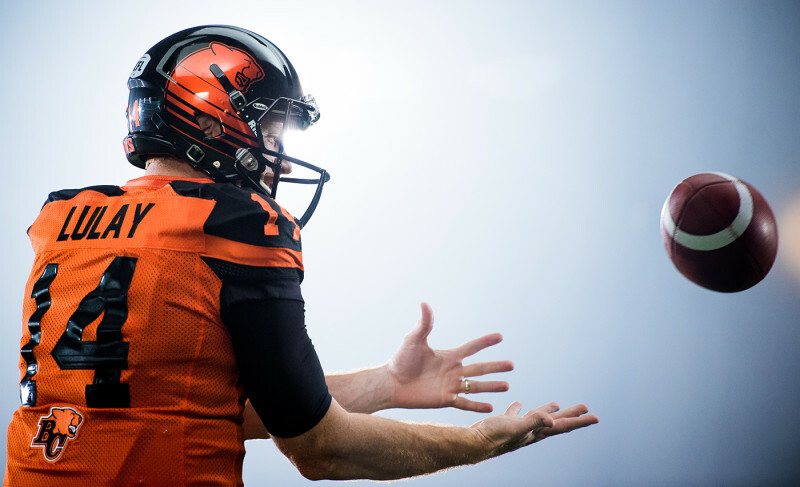 The biggest re-design of all comes from the Lions who have a whole new look for 2016 sported below by WR Manny Arceneaux & QB Travis Lulay. Each team will also feature all new sideline apparel. Here’s QB Jonathon Jennings sporting some of the new look adidas gear including the 2016 Draft Cap! The Edmonton Eskimos look remains relatively the same coming off their Grey Cup Championship season. Some minor adjustments to the look below from WR Adarius Bowman. 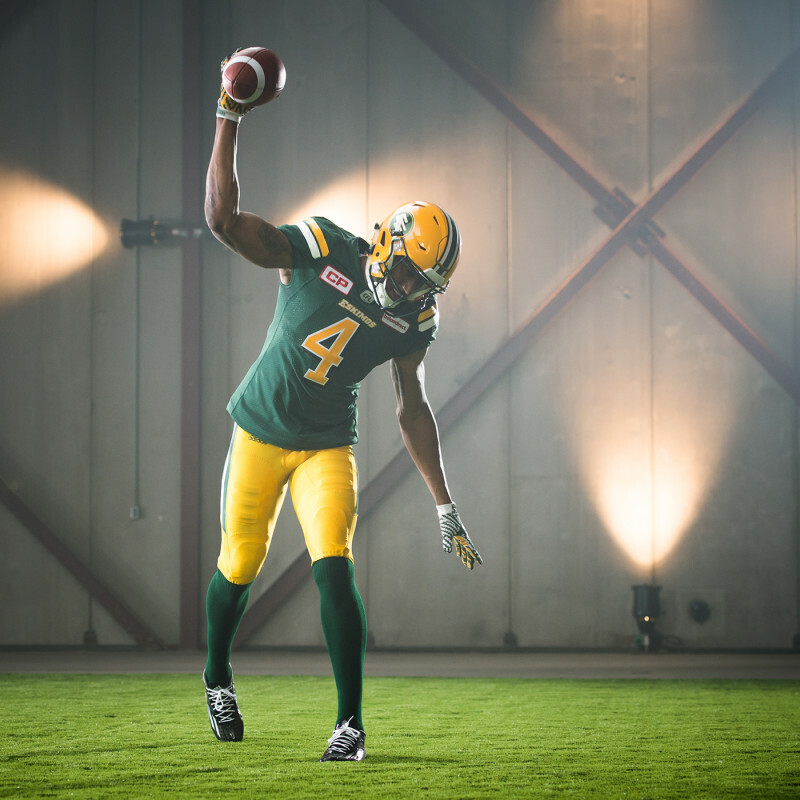 adidas will bring new gloves to the CFL in 2016. Seen below here. 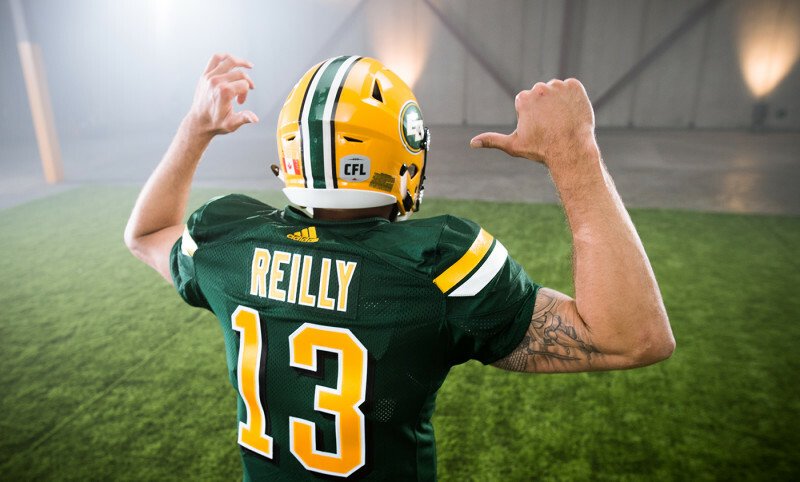 Back text and new upper adidas logo seen below on QB Mike Reilly. 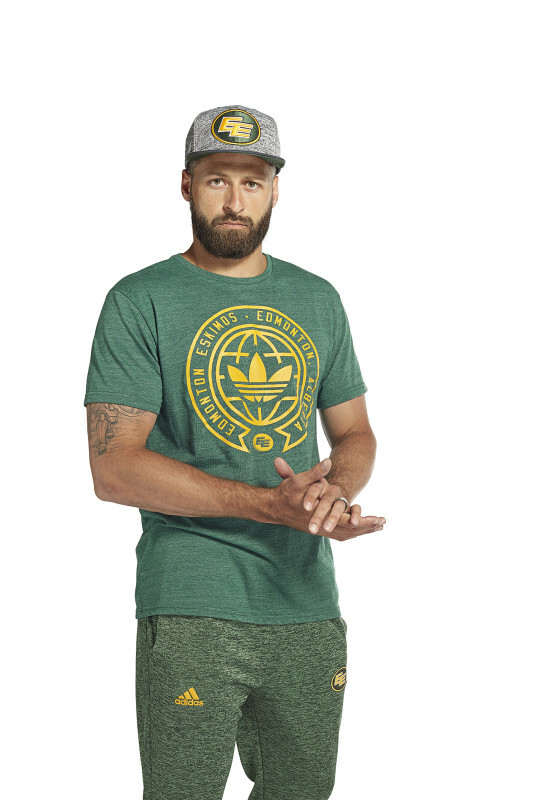 Finally, Mike Reilly rocks the new adidas lifestyle gear for the Eskimos including new hat, tee and sweatpants. All available for each team. 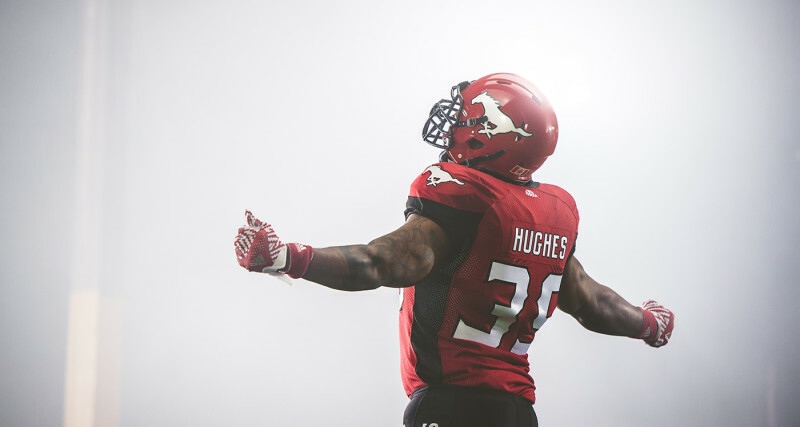 The biggest change to the Calgary Stampeders in 2016 comes with the addition of the “outlaw” numbers on their Home & Away looks. 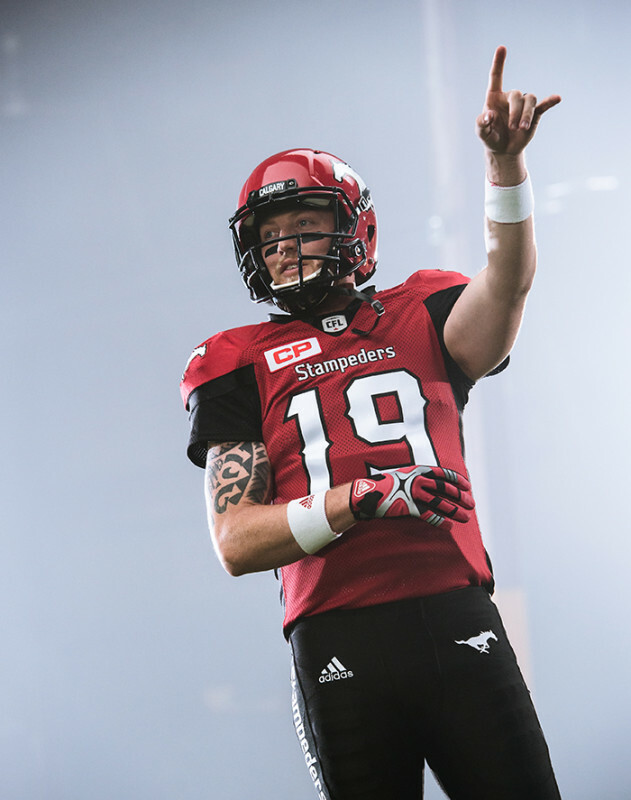 New numbering can be seen below from QB Bo Levi Mitchell & RB Jerome Messam. 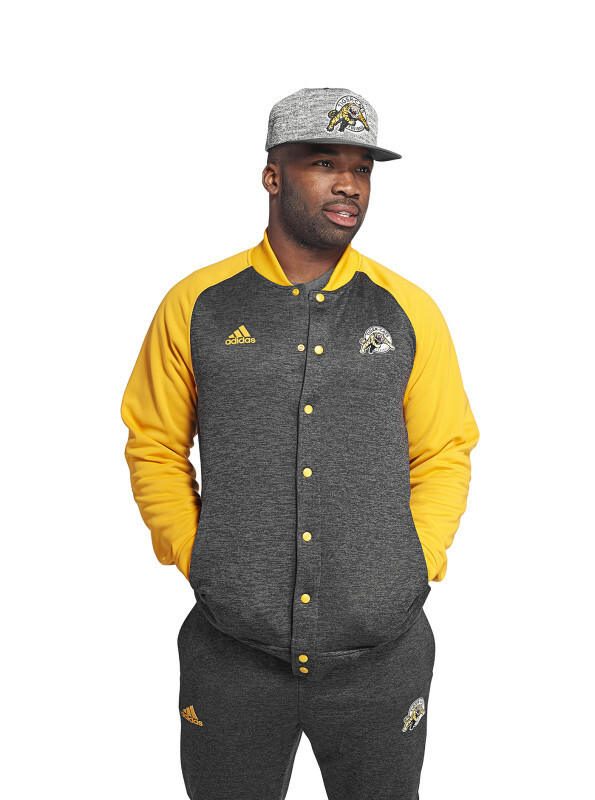 Here, we get another look at the new look adidas jacket and sweatpants combo. 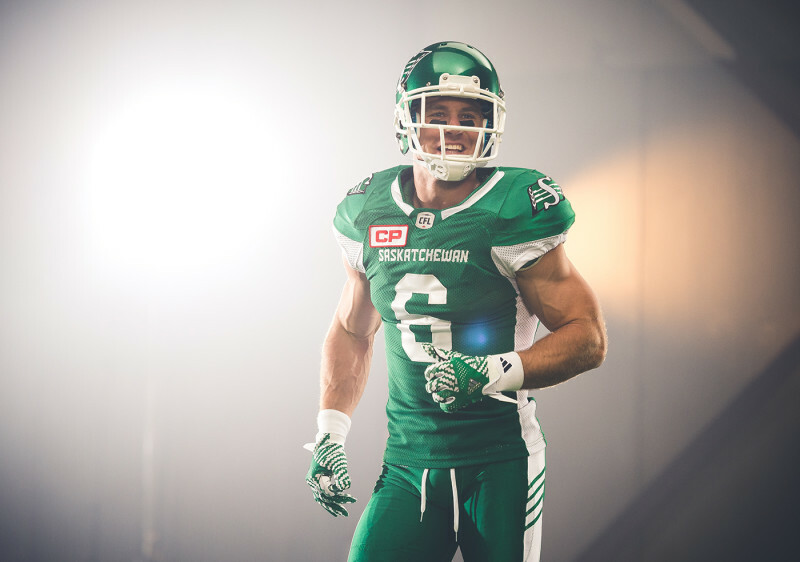 The Roughriders make the move to a full green look in 2016, dropping silver and going with straight green with white accents. 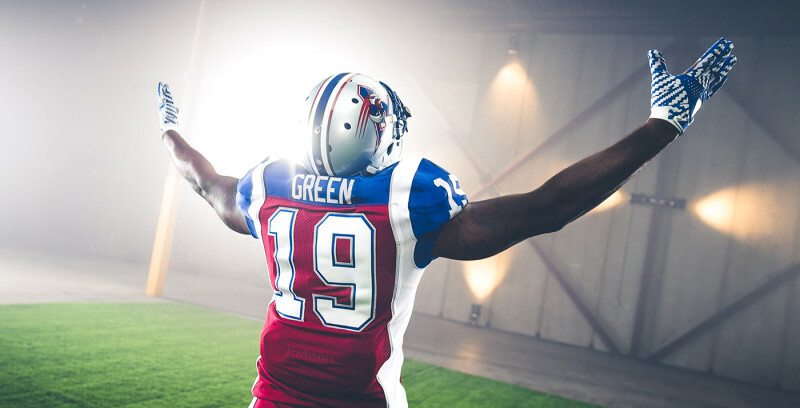 In addition, they’ve added four green stripes down the side of their pants, representative of their four Grey Cup Championships. 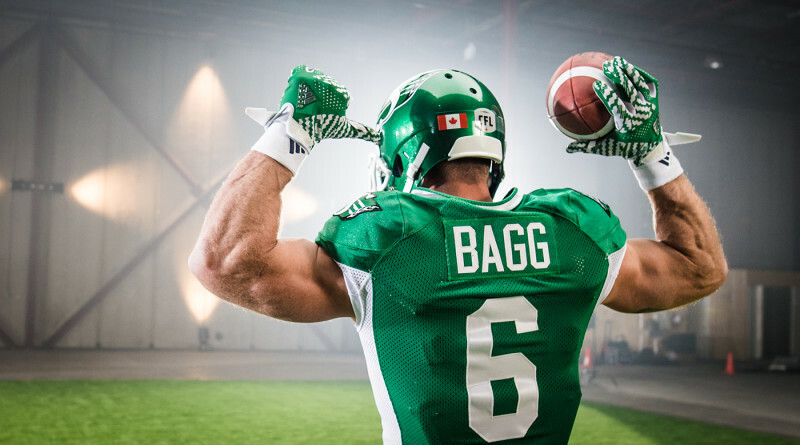 WR Rob Bagg sports the look below. 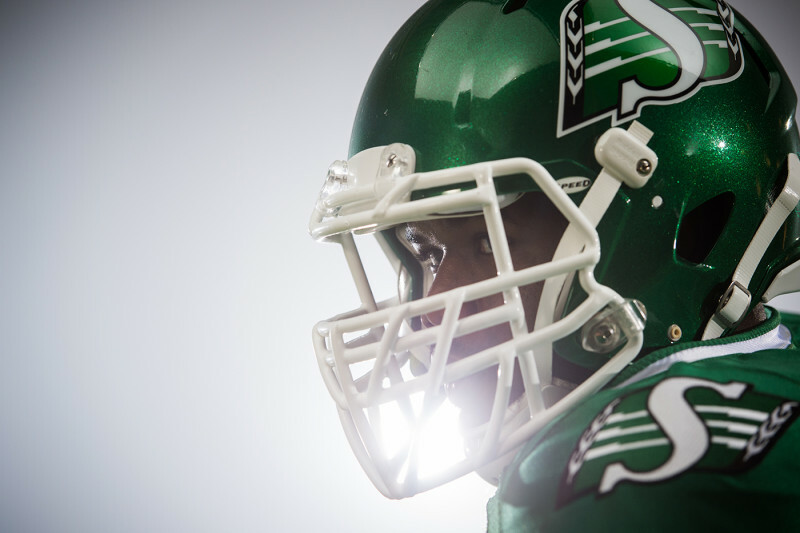 DL Shawn Lemon with the new Roughriders logo helmet below. 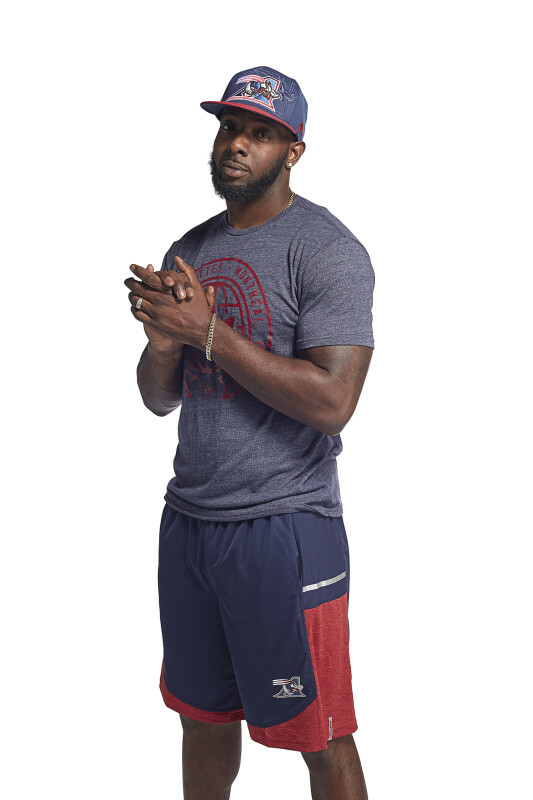 Here we get a look at the new flex fit sideline cap and polo shirt combo. 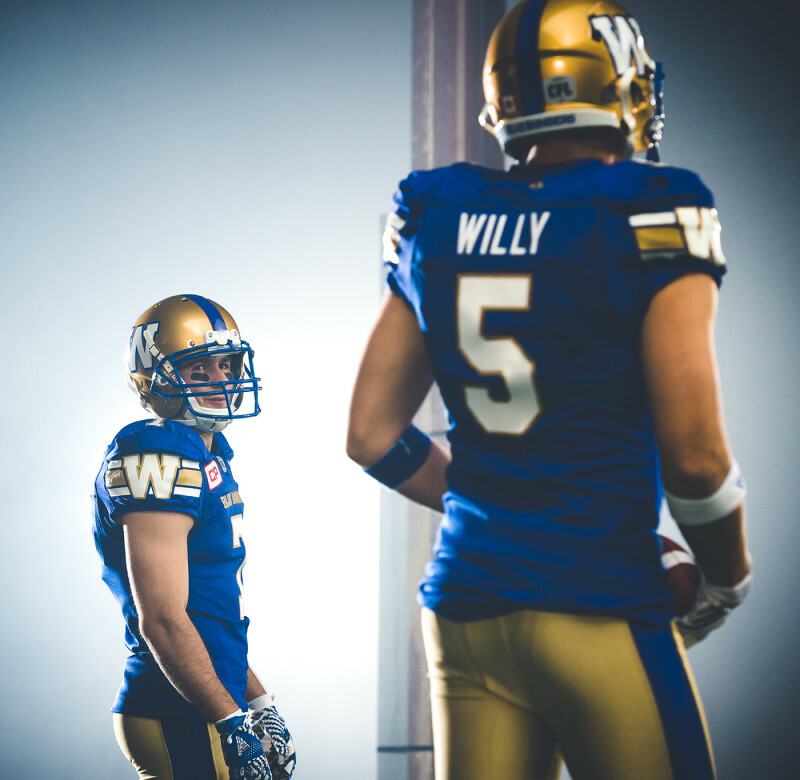 Royal is the new blue for the Blue Bombers as they return to the colour for 2016. Worn as an alternate/retro unfiform the past few years, the Royal Blue now becomes the primary jersey for the club with the gold helmet. QB Drew Willy shows it off below in addition to white+gold gloves. Oh my! Weston Dressler in Bombers blue! 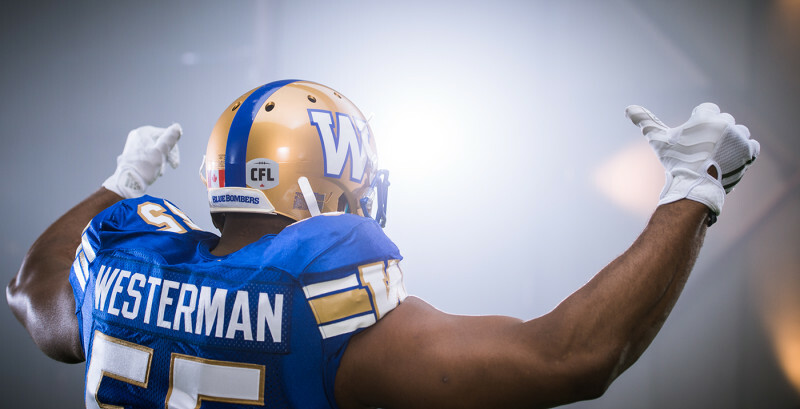 DL Jamaal Westerman gives us a look at the new gold trimmed numbering and new CFL logo on the back of the helmet. 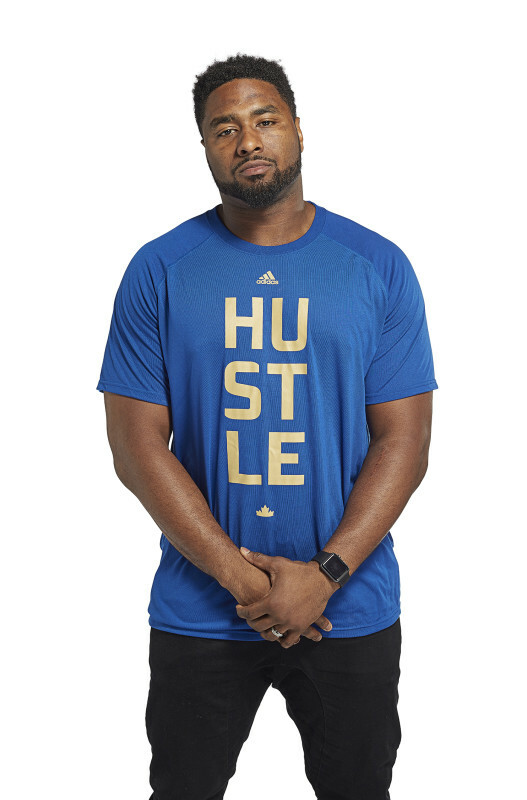 For a limited time and in limited quantities, each team has custom “CFL Hustle” tees from adidas set to their team colour. 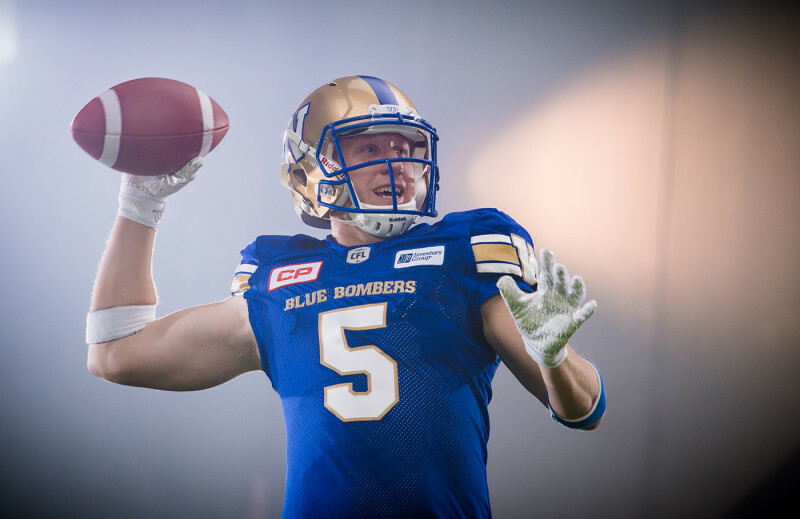 Westerman rocks the Bombers blue and gold version below. 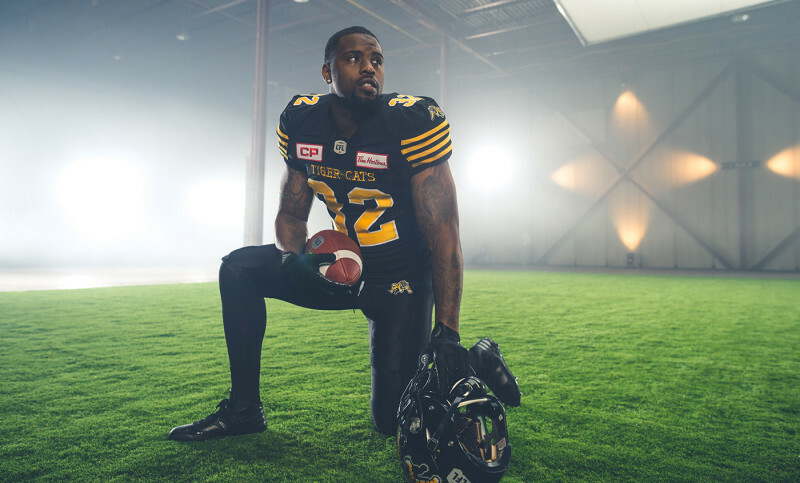 All black everything in 2016 for the Hamilton Tiger-Cats. All black pants, socks are new for 2016 with the jersey adding four yellow stripes along the shoulder. RB CJ Gable takes a knee during a recent photo shoot to show off the look below. 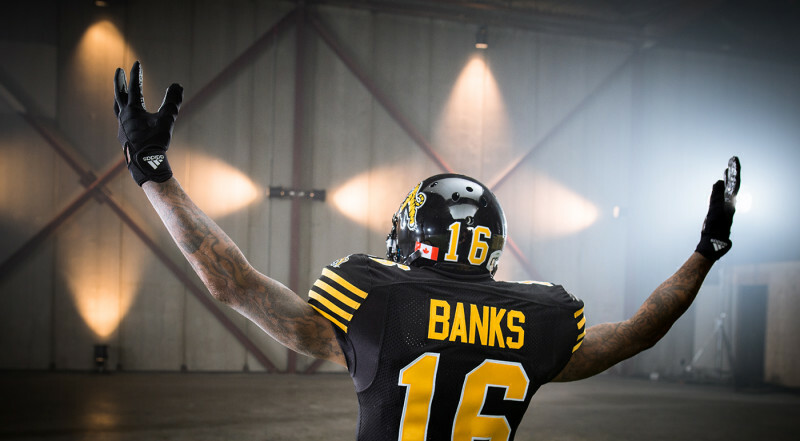 The Ticats also make a change to their helmets in 2016, adding the large text numbers to the back seen below by WR Brandon Banks. Once again, we get a peek at the adidas jack and sweatpants combo. 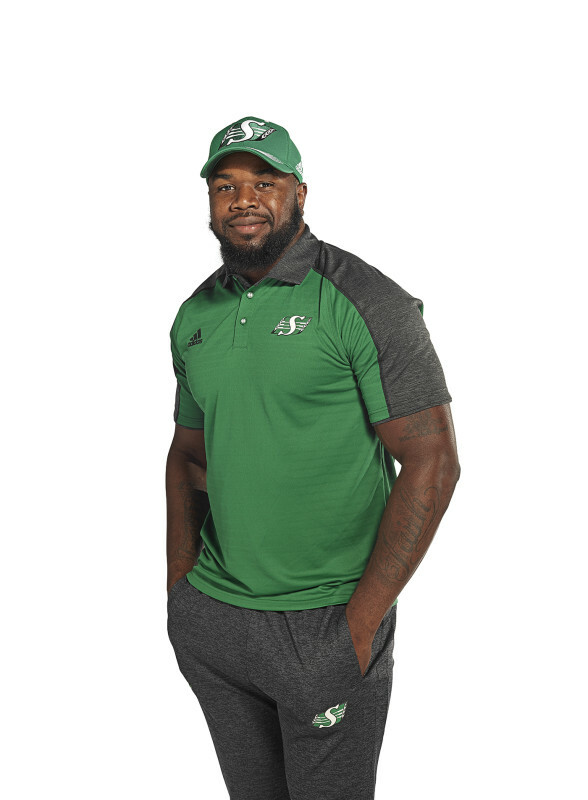 This time from LB Simoni Lawrence lookin’ cool as a cucumber. 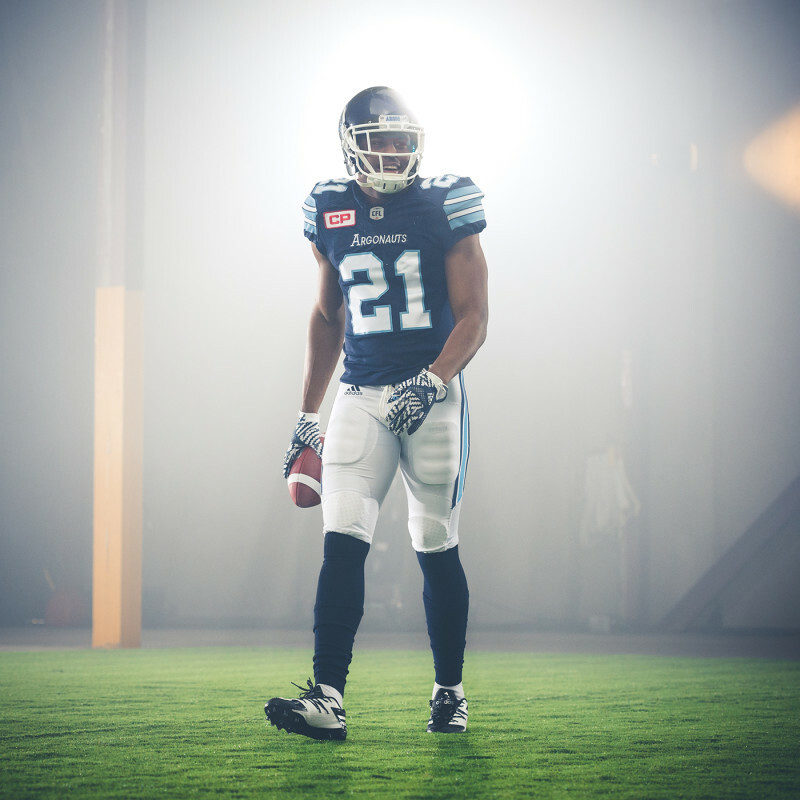 Subtle changes to the Argos uniforms in 2016 including a new frontal word mark above the numbering and the addition of a light blue key line around the numbers. WR Vidal Hazelton all smiles in his new kit. Another look at the new adidas gloves. A classic DL Ricky Foley pose to show off the new numbering and new adidas logo on the back upper neck. WR Tori Gurley (below) sports the new hat and workout shirt. The Ottawa REDBLACKS with some bigger re-designs for 2016 adding the red to the shoulder cap and side panel. 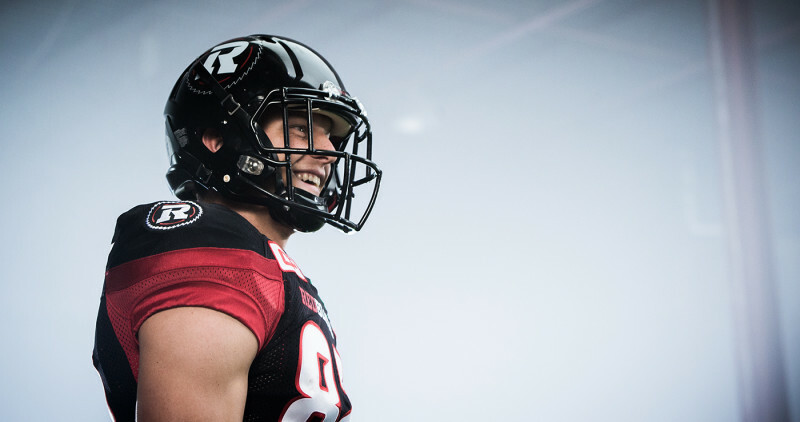 The biggest addition has to be the addition of #RNation down the side of the pants! 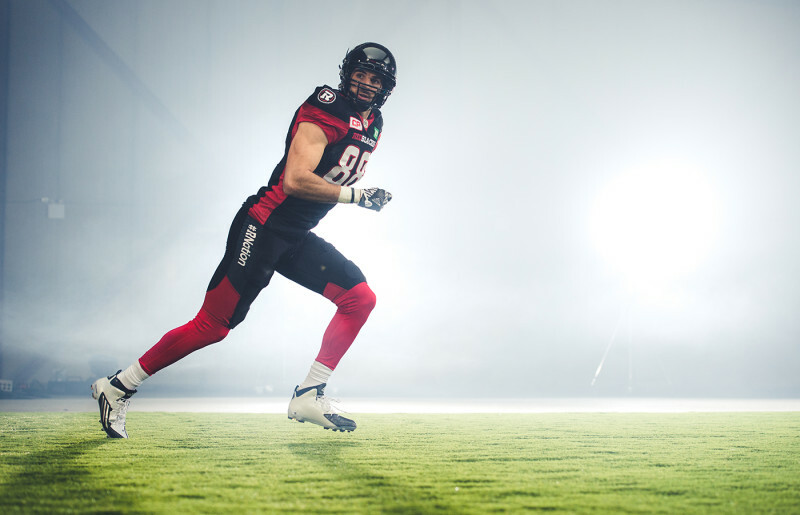 WR Brad Sinopoli shows us the full look below. Fellow WR Greg Ellingson gives us a closer look at the helmet, which remains relatively the same from 2015. A good view of the new red numbering outline seen below as well. Oh hey Greg, nice new t-shirt, jacket, pants combo! 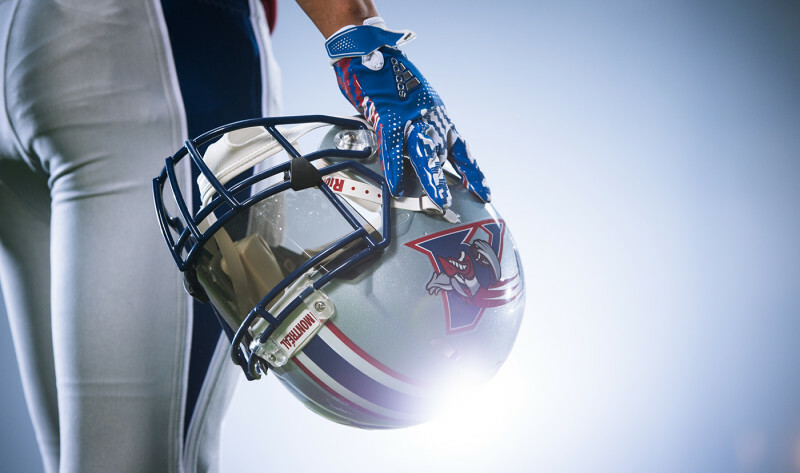 The Montreal Alouettes look remains the same from years previous. 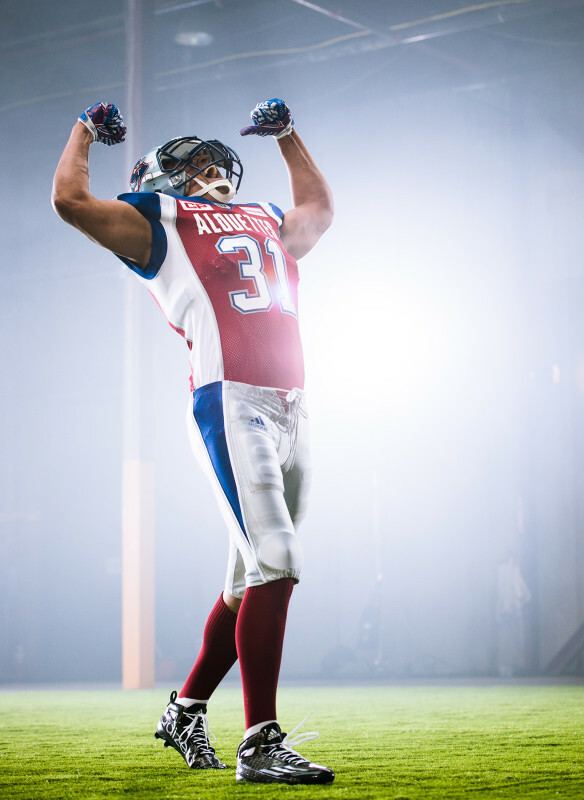 LB Winston Venable flexes below to show the full kit. A closer look at the helmet and new adidas gloves. Jersey back and typography remain the same. WR SJ Green below. SJ Green gives us a peek at the new adidas shorts. That’s the full collection! Want to own any of it now? 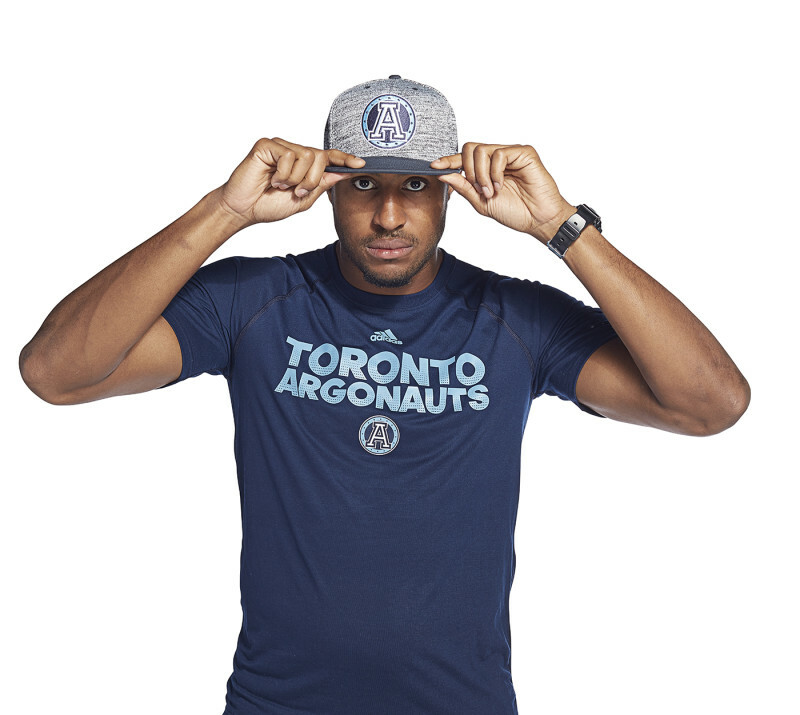 Visit CFLShop.ca!